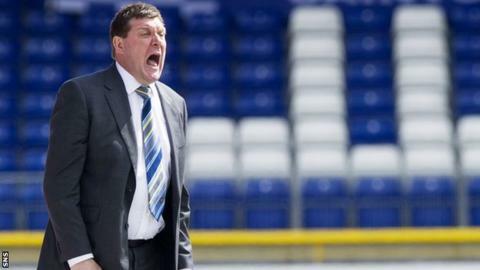 St Johnstone manager Tommy Wright was given food for thought after the 2-0 defeat by Inverness Caledonian Thistle. Goals from Ryan Christie and Greg Tansey stretched their winless run to four games ahead of Saturday's William Hill Scottish Cup final. "We had an opportunity to get fifth and I don't think we showed enough to get that," he told BBC Radio Scotland. "They should be [trying to impress me]. I'm not here to criticise them because they've been magnificent all season." The McDairmid Park men face Dundee United at Celtic Park next weekend, seeking their first major trophy in their 130-year history. However, Wright says they will have to improve on a performance that sees them finish sixth in the Scottish Premiership table. "Second half, we were nowhere near where we should be and maybe that's understandable with a cup final coming up, but it's certainly not an acceptable last 45 minutes," he added. "It's posed me one or two questions, but I've a fair idea what I want my cup final team to be and we'll look at things this week and see how everybody is. We've a full week to work on that. "I know the players will be better next week. We've got a good week of work ahead of us to be ready for it. "It's a great game to look forward to. There's plenty of managers and players who would like to be in our position and we're going there believing that we can win the game. "We're expecting a massive crowd. It'll be a great occasion. We obviously want to enjoy it but the main thing is we want to win it. "We can't take away the magnificent season they've had. We're not going to get overly down about losing three points here and we still finished sixth. It's a tremendous season and we can cap it off hopefully next week with a cup win."